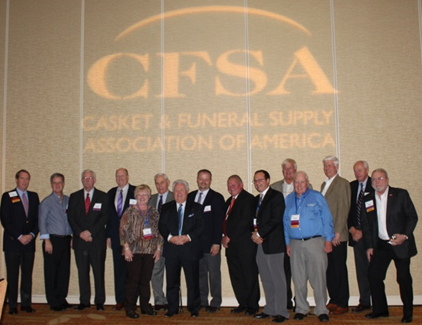 The CFSA Annual Meeting was held November 12, 2013 at the JW Marriott in Indianapolis, IN and Peter Galletly, Exec. VP., Sect’s., Treas., of Tiedemann-Bevs Industries was elected Treasurer of the Casket and Funeral Supply Association. The elected term of four years will result in the nomination and subsequent election each successive year to the post of Vice President, President and Past President. Tiedemann-Bevs is honored to have Pete elected to a leadership position in our Industry Association. Pete is looking forward to further developing relationships with current and future members of CFSA and participating in the business and future of our vibrant Association.